I saw this book at Virgin one day and it made me laugh and cringe. Whilst we have not done much formal portraits as a family, a few dodgy-looking photographs are framed around our house which make me want to throw in the bin or rip into a thousand tiny pieces. One of my most hated photograph was taken at our high school graduation day. It was taken with a film camera so there was no way to edit or delete, or take another one right away for instance. When it got developed, I was shocked. I mean, literally. It was a photo of my sister, my father and me – and my mouth was hanging open! Probably telling my grandmother, who took said photo, to take a step back or something. Since it was the only photo of the three of us during the entire evening, I have no other choice but to live with it. It now proudly hangs in my sister’s house, next to her pretty university graduation portrait with not a strand of hair out of place. Hmpf! Then again, there are some which I would proudly put on display for guests. 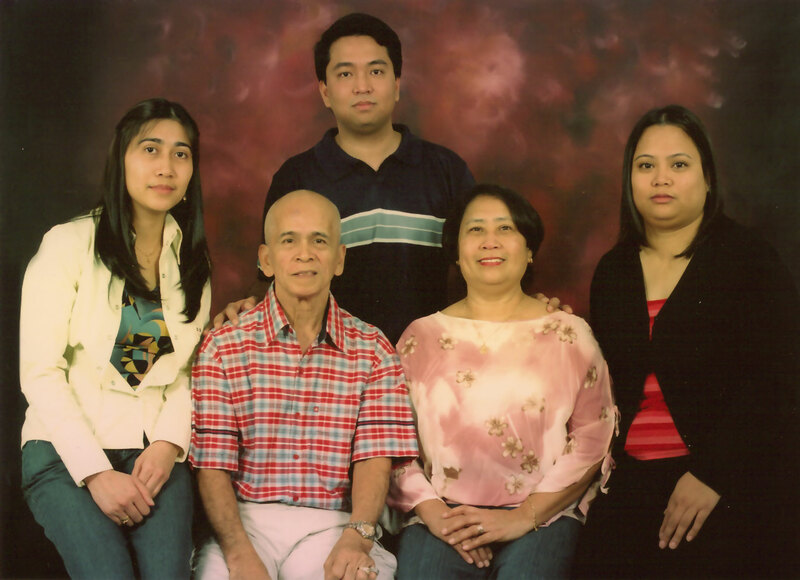 This one was taken in 1996 in Manila. It was the first time that we were all in one place and got along long enough to get into a cramped studio with hot lights and cranky kids. We actually get along better than most families that I know. 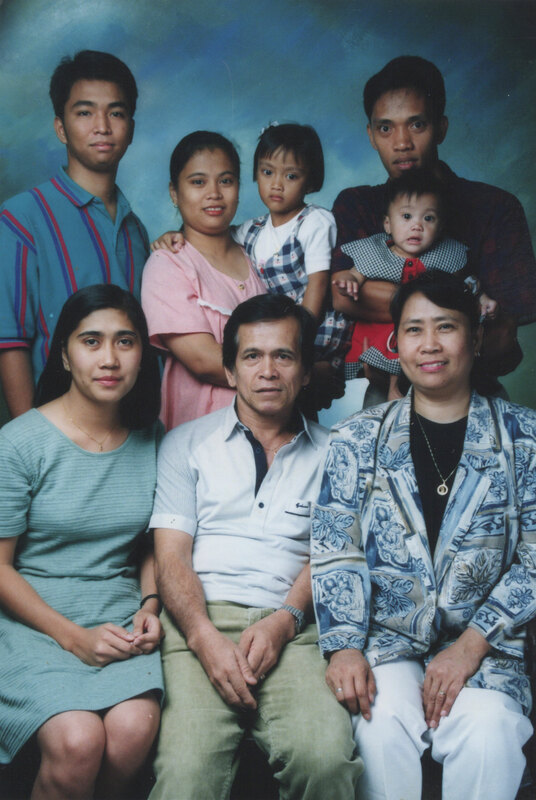 Just your typical extended Filipino family. 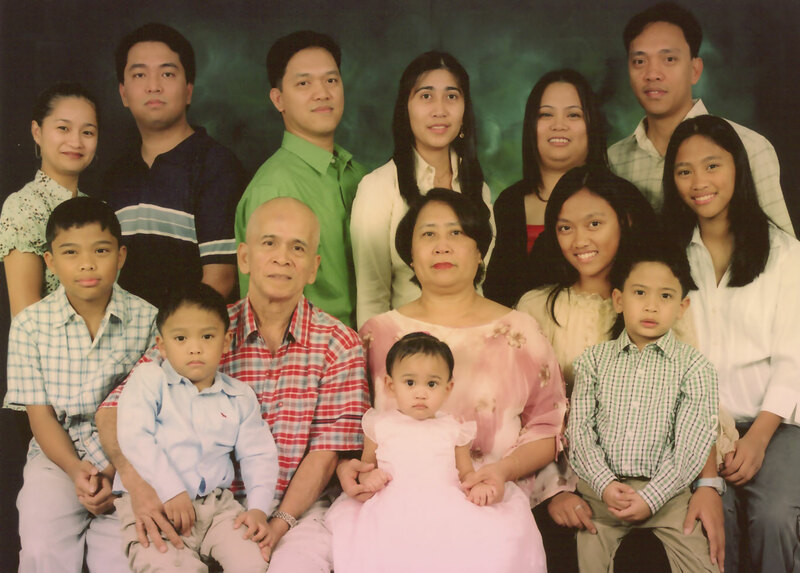 Fast forward to 10 years later, and this is what the family looked like. This, by the way, is the family from my side and includes my parents, my sister with her husband and two kids, my brother and his wife and my husband and kids. We snuck down to a studio on our way to celebrate my niece Isabelle’s first birthday, which explains her cute pink dress. 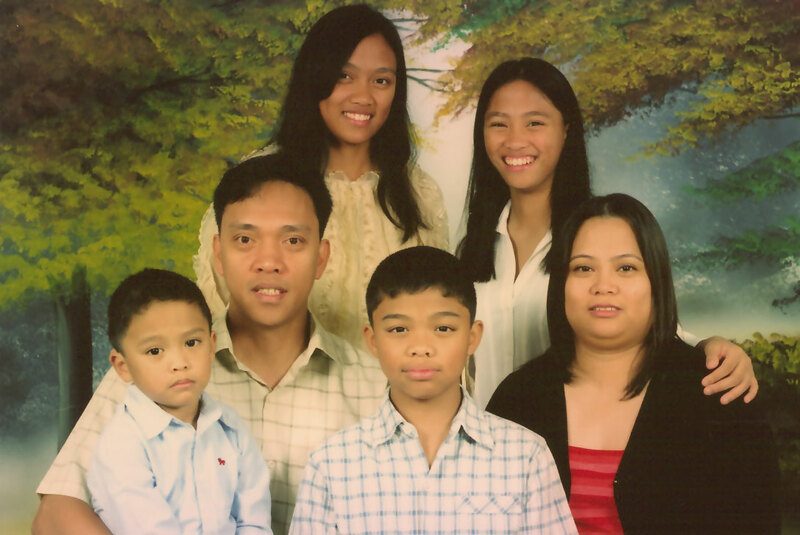 This is the core of the family, my parents, sister, brother and me. I had just been to the salon so my hair was unbelievably straight that day. And I had my eyebrows threaded for the first time – freakin’ painful! 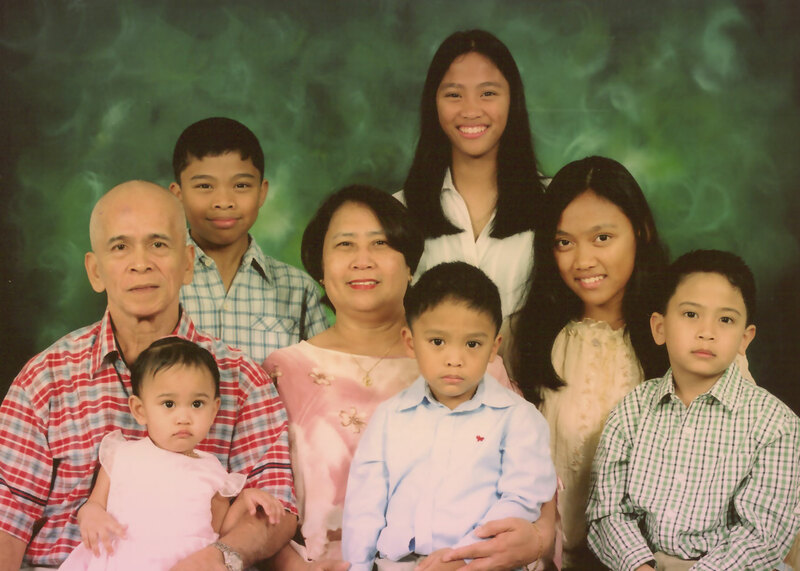 Grandparents and grandkids all together. My brother and his wife have no kids yet so there may yet be another portrait with more kids in the future. My sister, her husband (who is my husband’s younger brother, in case you missed that episode) and their kids. My nephew was also celebrating his birthday (in advance) that day. Then there’s us, all six of us. 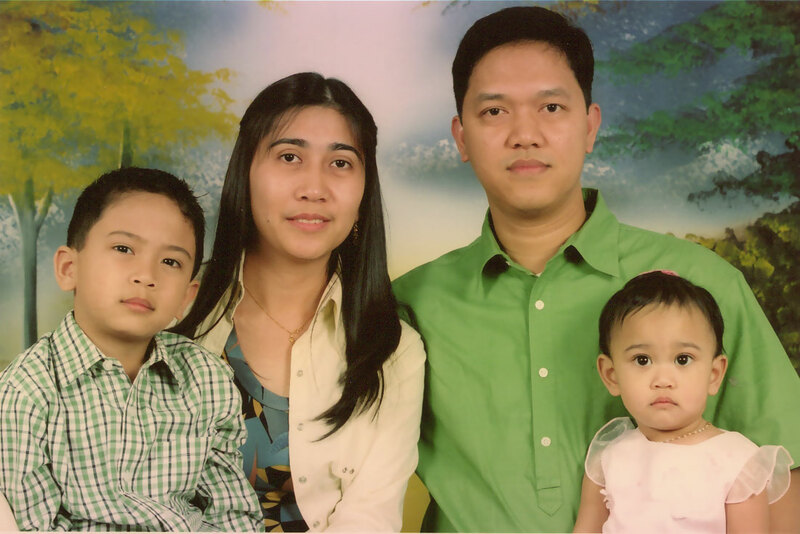 This will be the last family portrait like this for a while. I have to get a new one done soon; it’s amazing just how much the kids have grown since then. How about you? Have you got any awkward family portraits you care to share? That was a fantastic then and now and onward post! Great to see the different faces in your family – same yet different! There’s so much love there!